The winter weather season is upon us, which not only means dealing with cooler temperatures, but this time of year also tends to come with a number of healthcare issues as well. So many people are getting sick and dealing with certain aches and pains during the winter, which is one of the reasons this time of year is so difficult for so many people. However, there is good news. With regular chiropractic care, you can easily ward off some of these serious winter issues and stay health, balanced and happy during the winter season. Here are some of the main ways that chiropractic care can help. Most people simply know the winter as cold and flu season. Even though these illnesses can occur during any time of the year, people tend to get them mostly during the winter. 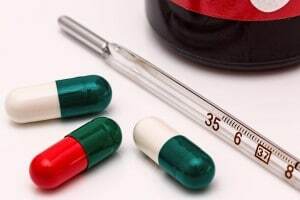 There are a number of reasons as to why the winter is such a common time to get the cold and flu and it actually does not have to do with it being cold outside. The good news is that chiropractic adjustments can help ward off these serious illnesses. Adjustments are designed to remove subluxations in the spine which can impact your nervous system’s ability to function. When the subluxations are cleared, the nervous system can work as it was intended to and work to fight off illnesses such as the cold and flu. Some studies have even found that chiropractic adjustments can boost the body’s production of white blood cells, meaning you have more disease fighting power in your corner during this time of year. The cold weather that occurs during the winter season can often leave people, especially those with arthritis and existing joint issues, in a great deal of pain. Cold weather can irritate the joints and make many people feel as though there is no remedy to their discomfort. The good news is, regular chiropractic care and routine treatments can help alleviate this pain, without the need for medication or pain killers. This is a no-risk solution with little side effects that can finally help keep aches and pains at bay. Depression is a serious issue among Americans today. Many people state that the winter season makes their depression symptoms seems worse, often calling it the “winter blues.” The truth of the matter is, there is a condition known as Seasonal Affective Disorder (SAD), that basically causes people to experience symptoms of depression in the winter. Adjustments can help the body and the nervous system function properly. This also means that the nervous system is able to send important messages to the brain. With regular chiropractic care, many people dealing with depression and depression-like symptoms find the relief that they have been looking for. While the winter may be filled with all types of potential healthcare issues, when you have chiropractic care on your side you can keep your body aligned and healthy so you can fight off these conditions and have your healthiest winter yet.